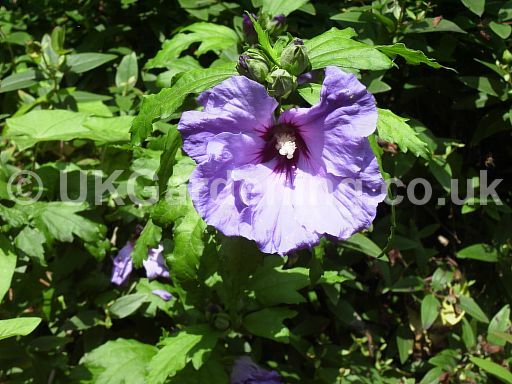 A photograph of Hibiscus syriacus 'Blue Bird', syn. 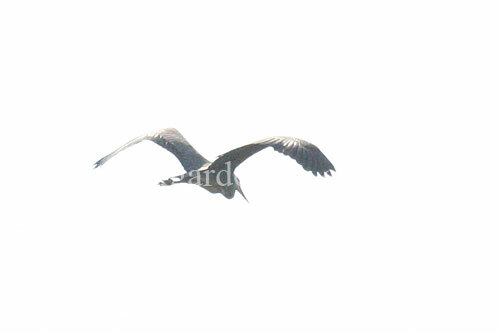 H.s. 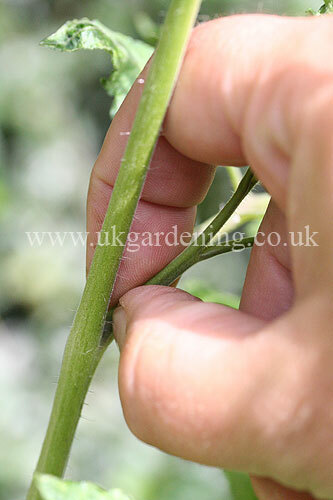 'Oiseau Blue' (Tree Hollyhock) (Photo ref. 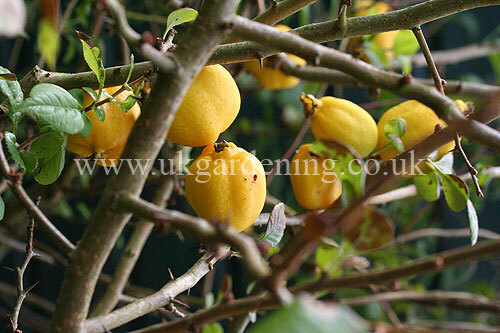 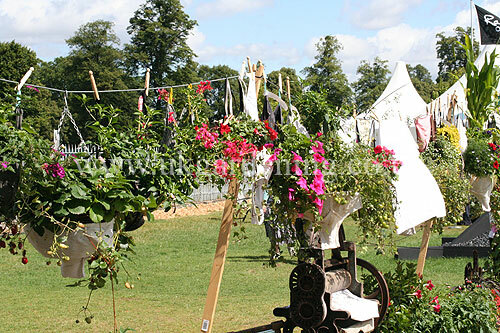 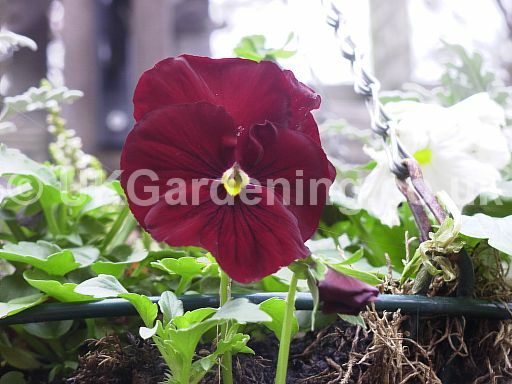 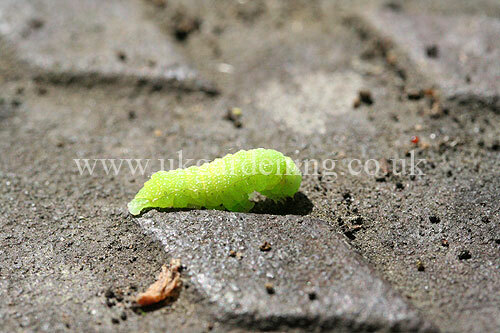 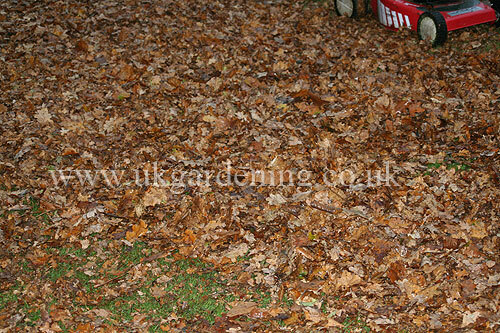 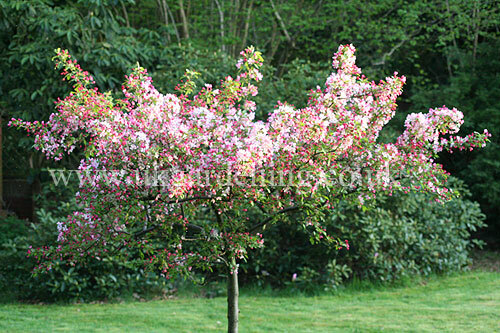 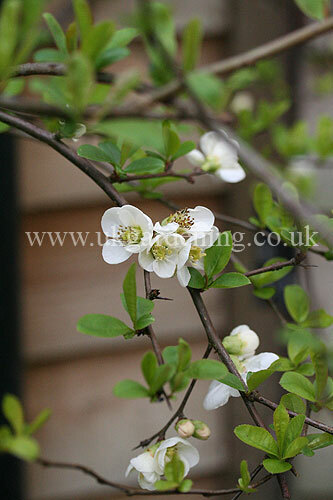 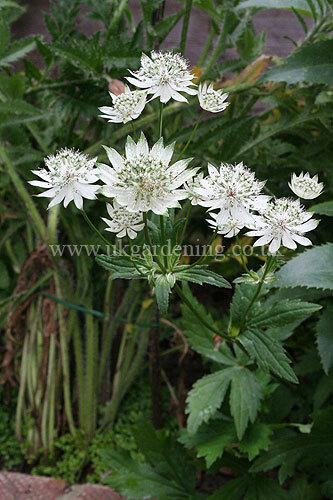 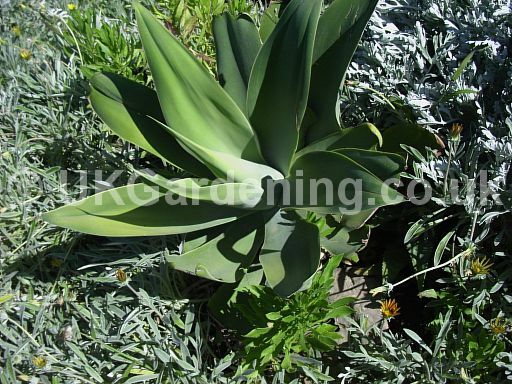 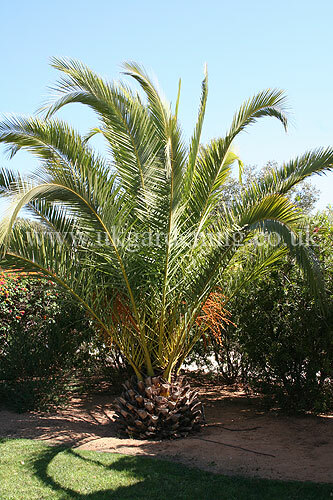 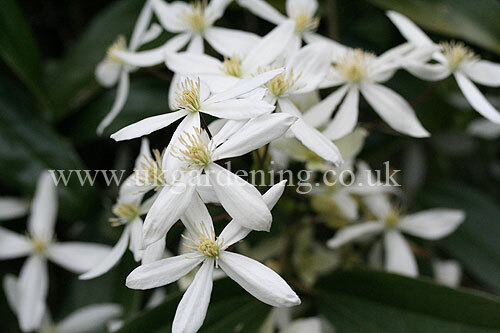 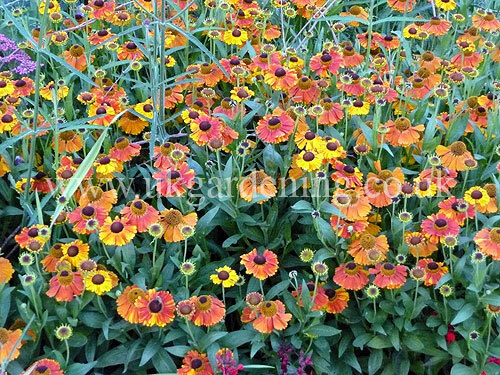 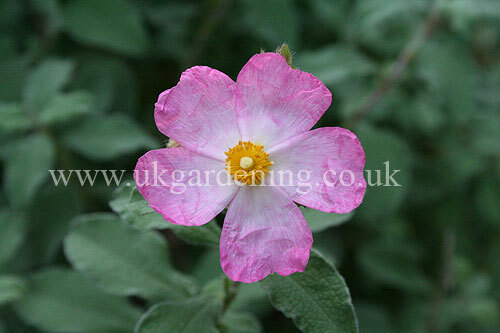 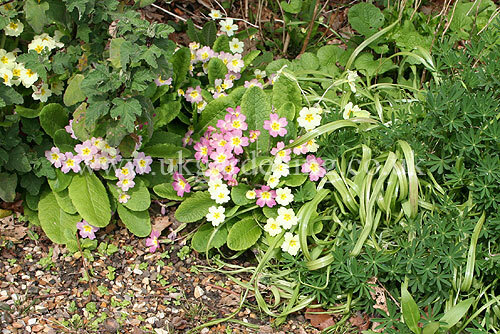 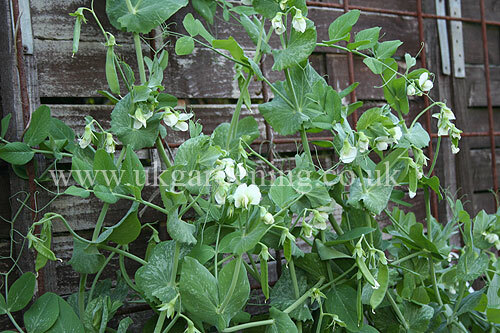 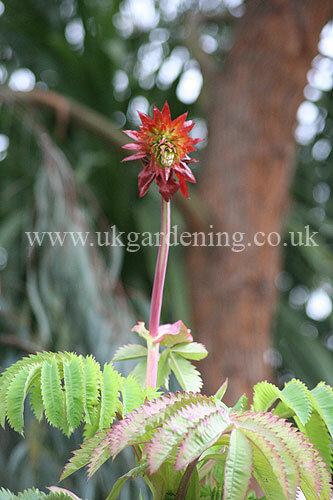 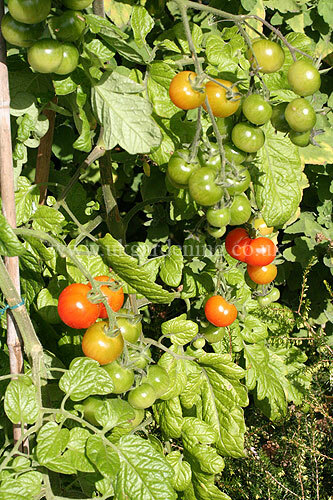 : 202) from the photo gallery at UK Gardening.